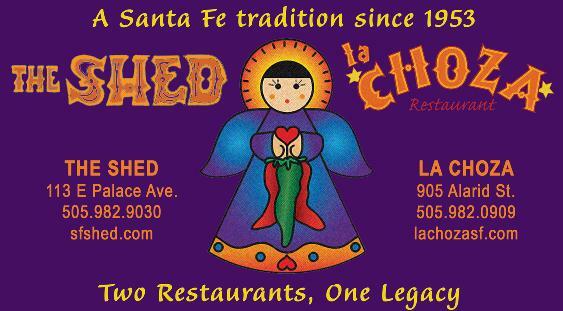 La Choza takes pride in bringing you generations of tradition, “from our family to yours.” Award winning red and green chile, summer patio dining, full bar and long-standing quality & consistency have made La Choza a local favorite for delicious traditional food of the Southwest since 1983. La Choza’s warm, friendly atmosphere, authentic dishes, great margaritas, and colorful decor welcomes those needing to get their chile fix. Or if your taste buds aren’t up to the heat, there are plenty of other scrumptious dishes to entice you. La Choza is truly Santa Fe dining that reflects the heritage of past & present and is the sister restaurant to another locals’ favorite, The Shed.